Can you believe that we're only one short week away? I can't. It came up quickly this year. One of my favorite things about Advent, though, is the books. Yes, I might overdo it with Advent devotionals, so I've limited myself to just one a year. And this year it seems especially tough. However, thanks to a wonderfully happy accident, I was part of an advanced release group for a great new devotional- Come Lord Jesus: The Weight of Waiting, by Kris Camealy (you can read my guest post on her blog here-- Preparing the Way). How about you? 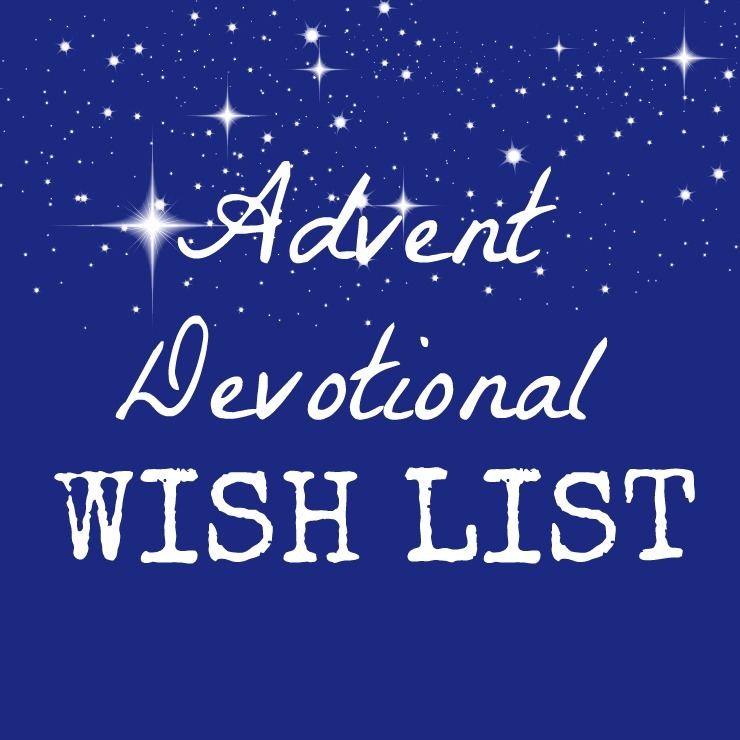 What devotional are you looking forward to this Advent? This looks like a great activity to do as a family at the dinner table. Read a section through out the month. I know what you mean-- so many to choose from! I love anything by Walt Wangerine but this year I ordered He Is Here by Michele Rabon and will begin next week!